North America’s most popular brand of tampons is produced at a plant in Auburn. Once upon a time, when something went wrong there, you called in a man. Not anymore. 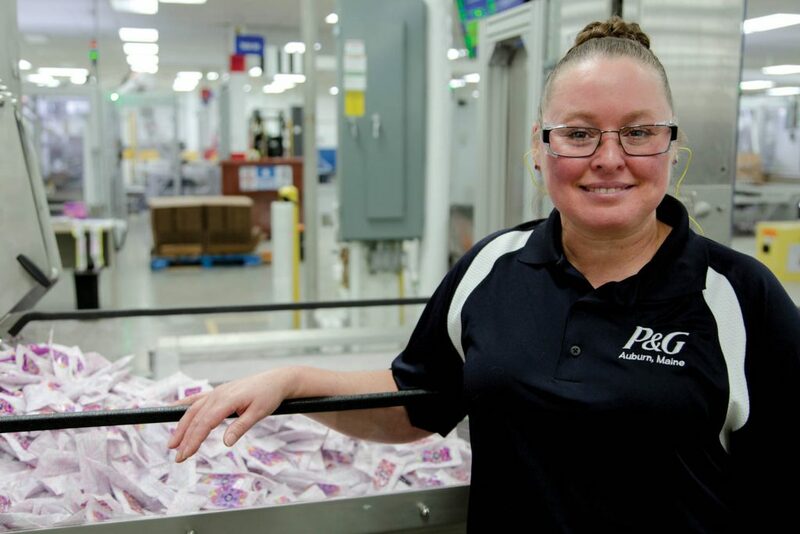 Tampons are something of a family business for Veronica Karlsen—her mother made them, she makes them and the Lyman resident even met her husband at Tambrands, Auburn’s largest private employer with nearly 400 employees. Between Karlsen and her recently retired mother, they’ve been at the tampon factory for 46 of the plant’s 50 years, witnessing an evolution in women’s roles in the manufacture of this decidedly feminine product and in the product itself. 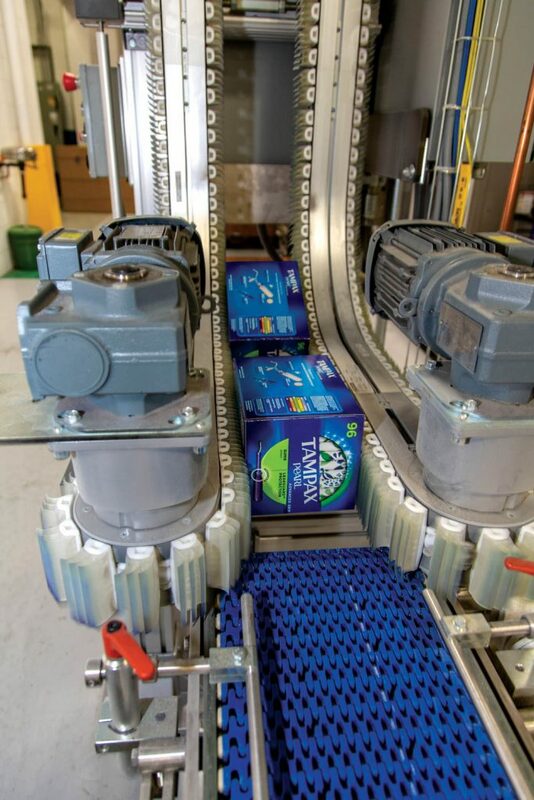 Procter & Gamble bought Tambrands in 1997, accelerating the pace of change and modernization at the 565,000-square-foot plant 30 miles north of Portland where 9 million tampons are sewn, packaged, boxed and shipped each day. These days, the plant is more efficient and more egalitarian than when Karlsen’s mother, Carol Holmes of Auburn, started as a combine operator in 1972. Back then she was making $1.85 an hour (25 cents above minimum wage) and Veronica, her first child, was 8 months old. None of the mechanics were women until the mid-1990s. In those days, gender roles were more defined, more separate, more private. Even truckers were reluctant to talk about what they were picking up at what they called the “plug factory.” But the women who worked at the plant saw tampons all day and became blasé about them. Williams Pray used to take some of the fiber home to use in place of cotton balls when removing her bright red nail polish, and one time left wads of crimson-stained tampon parts on the kitchen table when she answered the door for the Avon lady. In 1975, long before P&G bought Tampax, the multinational consumer goods corporation marketed a tampon brand called Rely. Made from carboxymethylcellulose and polyester rather than a cotton and rayon blend like Tampax and other tampons, Rely was super-absorbent—but soon was linked to toxic shock syndrome. In 1980, P&G recalled Rely. Public trust in tampons dropped, and Tampax stock plummeted. To stay afloat, Tampax diversified, making pads, disposable diapers, diagnostic ovulation kits and even makeup. Because the word “Tampax” was synonymous with tampons, the company name was changed to Tambrands. As the Rely episode faded from public memory, Tambrands sold off its other product lines, focusing once again on Tampax. And, in 1997, Tambrands was acquired by P&G. That acquisition would revolutionize the company culture of Tambrands, partly because P&G wanted to make a better tampon. Today, Tambrands makes tampons with rounded plastic applicators, pocket-sized versions and tampons that come resealable pouches for disposal, and tampons that are free of fragrances and dyes. Today, just 10 percent of the tampons they make are the original cardboard-applicator variety. 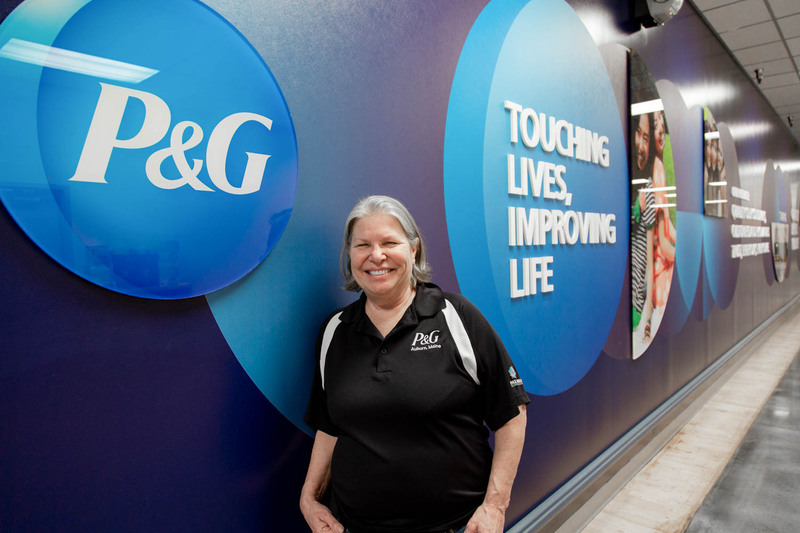 P&G didn’t only want to make a better tampon; they wanted to make a better workplace, one that was more productive and efficient but also more equitable. By 1998, the plant was operating around the clock with teams on rotating shifts. Large numbers of workers—more women than men—left the company. Some didn’t want to work nights. Some just didn’t have the mechanical skills for the new expectations. Women dropped from half the staff to one-quarter. But some, like Karlsen, stayed and thrived in the more demanding roles. For Tampax Radiant, the marketing department asked for a package that sparkled. But in early development, the manufacturing side couldn’t get those sparkly boxes to stay shut. The glue wouldn’t adhere. 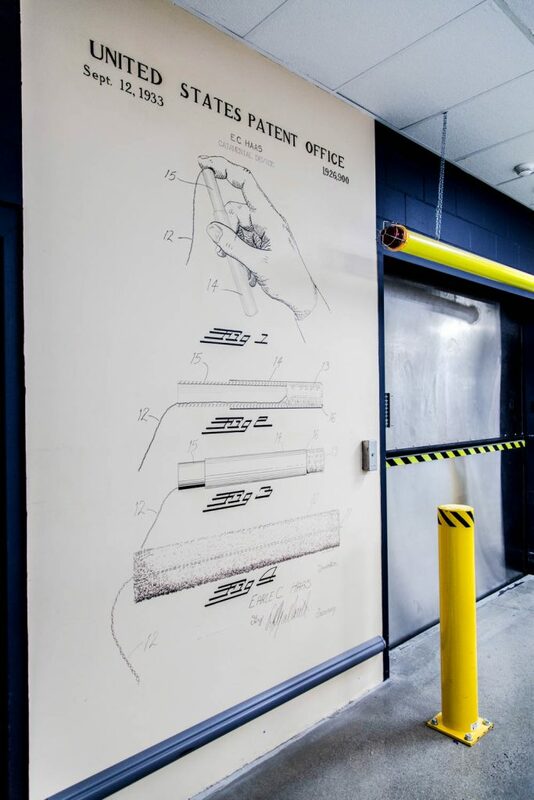 Marquis’ job was to find a better solution—and she did, not only developing a better adhesive but also replacing the metallic boxboard used to make the containers with metallic ink instead. Amy Paradysz is a freelance writer based in Scarborough. She is reluctantly grateful to Dr. Earle Haas, who patented the modern-day tampon in 1929—after a female friend gave him the idea.